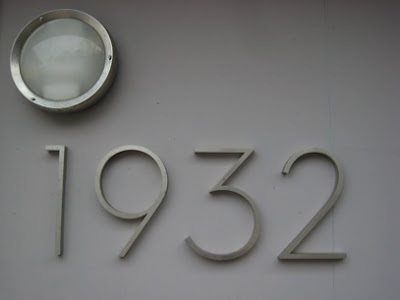 The owners of this house in Vienna, Va., went against the grain for this area: they took a 1970s colonial and turned it into a more modern space, even installing Neutra-esque house numbers (pictured above). In this area, people typically will take a contemporary home and transform into a more traditional-style home or tear it down altogether. A real turning of the tables for us modernists. This is a FSBO (For Sale By Owner) and is open Sunday, April 19 from 11 a.m to 3 p.m.
Wonder why they are moving after they put all that work in to the space! We love our home but yearn to be urban dwellers! We hope to find buyers who will appreciate all the details.